Often used interchangeably with its synonyms tolerance and patience, endurance is one of those things that we get tired just thinking about. Associated with challenges, hard times, and periods of suffering, endurance is not for the faint of heart. We weren’t called to enjoy this life; we were called to endure it. Some of you reading this will balk, thinking rather that we are here on earth to enjoy our life. The reality is that you can spend your whole life searching and seeking enjoyment and happiness, but without the Lord you will come up short and end up empty-handed. You know what we are called to enjoy? God. As the Westminster Catechism states, “Man’s chief end is to glorify God, and to enjoy him forever.” You can disagree, but thankfully the Christian faith is based on facts that date back far earlier than you or I. When you become a Christian, your life is probably not going to be easy. People are going to make fun of you, belittle you, laugh at your expense, and depending where you live in the world, persecute you. The good news is that we aren’t the first to endure hardships, and if we’re being honest, ours are “first world problems” compared with what Christians in many other nations have to endure. So where’s the encouragement in endurance? The Bible is filled with accounts of men and women who lived in faith before us. Abraham, Moses, Noah, Sarah, Isaac, Joseph, Rahab, Ruth, Esther, Mary, Samson, David, – I could go on. By faith they endured (Hebrews 11:27). By faith, they “subdued kingdoms, wrought righteousness, obtained promises, stopped the mouths of lions, quenched the violence of fire, escaped the edge of the sword, and out of weakness were made strong (Hebrews 11:33-34). 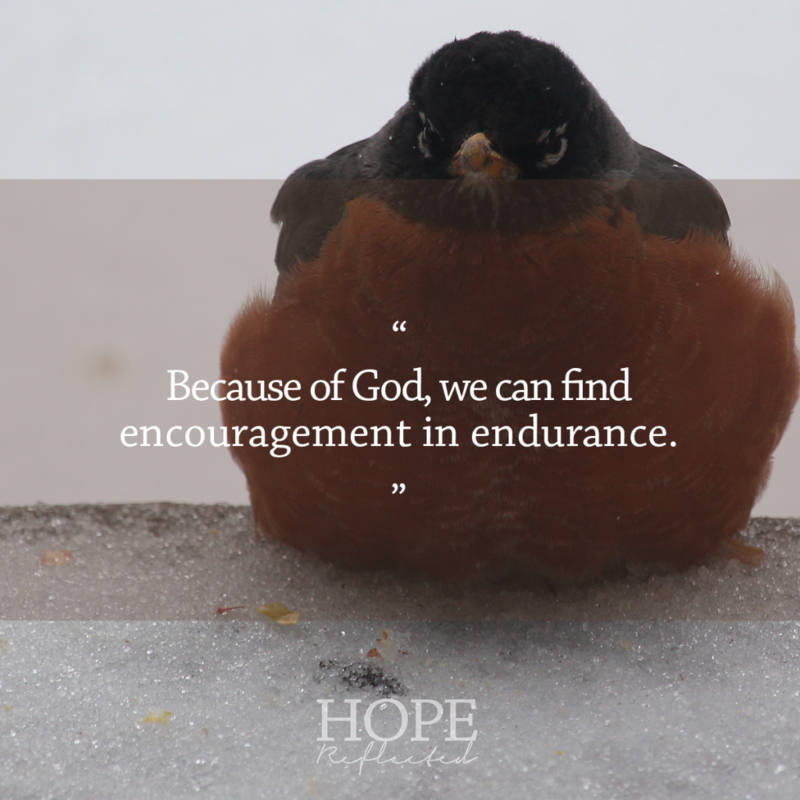 Beyond our ancestors before us, because of God, we can find encouragement in endurance. Our chief end is to glorify God, and to enjoy him forever. Originally published as “Endurance.” Minto Express, Independent Plus, Arthur Enterprise-News, Mount Forest Confederate. November 29, 2018: 6. Print. Web. We often get caught up worrying about life, work, other people, what other people think of us, and ourselves, but consider how much more fulfilling life is when you can learn to not take yourself so seriously. Rather than looking in, start looking out, and learn how to let go. When you take yourself too seriously, you’re trying to take control away from God (and we all know that’s just not possible). Pride puts forth a lot of effort into controlling circumstances, but faith puts trust in the One who controls the universe. “Humble yourselves therefore under the mighty hand of God, that He may exalt you in due time: Casting all your care upon Him; for He careth for you.” (1 Peter 5:6-7) As a Christian, not taking yourself too seriously doesn’t mean that you act immaturely or carelessly; it means that you’ve got faith and you’re resting in the Lord’s strength rather than your own. 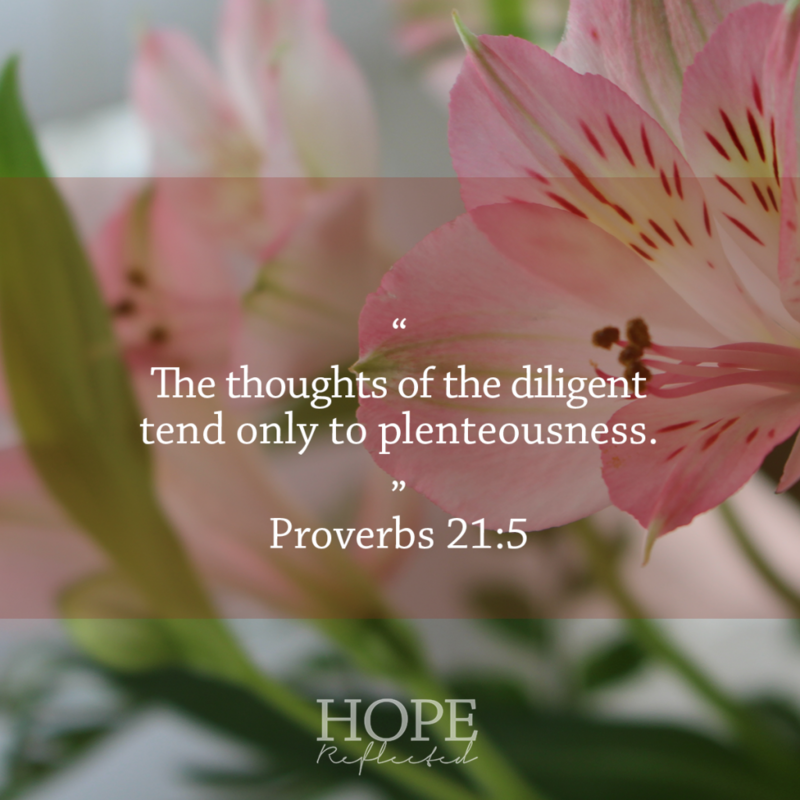 You’ve likely read – or at least heard of – Proverbs 31, which tells of the virtuous woman. 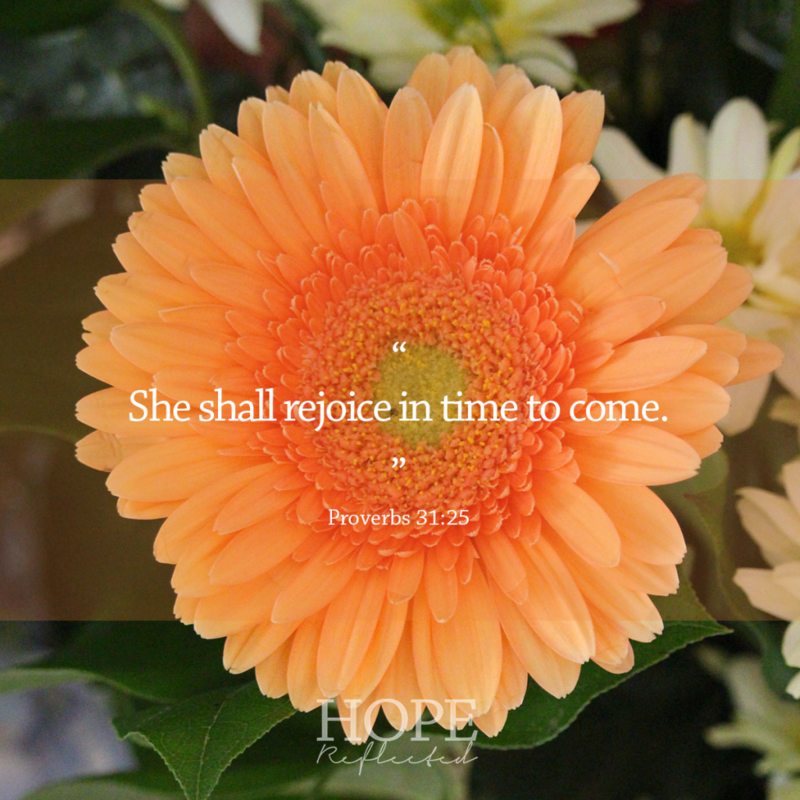 One of her virtues is that “she shall rejoice in time to come” (Proverbs 31:25). Some versions of the Bible say that, “she can laugh at the days to come.” As I said above, it’s a liberating thing when you can learn to laugh. We don’t have to take ourselves too seriously because we know who controls the future. “For I know the plans I have for you, declares the LORD, plans to prosper you and not to harm you, plans to give you hope and a future.” (Jeremiah 29:11) We need not worry about tomorrow, because we know who holds tomorrow. Don’t take yourself too seriously, and don’t take others too seriously, either. The most important one to take seriously is God. Originally published as “Don’t take yourself too seriously.” Minto Express, Independent Plus, Arthur Enterprise-News, Mount Forest Confederate. November 15, 2018: 6. Print. Web. While the degree to which may vary, anxiety affects each of us in some shape or form. It can be easy to get caught up in the events of the day, to find your mind wandering and replaying in the middle of the night, or playing out possible scenarios to all kinds of situations that haven’t even happened. Anxiety, fear, and worry happen to us all. In the midst of how you’re feeling, it always helps to remember the facts. There is hope for the anxious heart. Feeling worried? Remember what Jesus asked the disciples in Luke 12: “Consider the ravens: for they neither sow nor reap; which neither have storehouse nor barn; and God feedeth them: how much more are ye better than the fowls? And which of you with taking thought can add to his stature one cubit? If ye then be not able to do that thing which is least, why take ye thought for the rest?” (Luke 12:25-26) The only thing that worrying accomplishes is wearing you out. Jesus also said that we should, “Take therefore no thought for the morrow: for the morrow shall take thought for the things of itself. Sufficient unto the day is the evil thereof.” (Matthew 6:34). When you’re tempted to worry, take it to the Lord and He will give you peace (Philippians 4:6-7). Originally published as “Hope for the anxious heart.” Minto Express, Independent Plus, Arthur Enterprise-News, Mount Forest Confederate. November 8, 2018: 6. Print. Web. A strong spiritual life requires strength training. Recently, Wes and I have heard about the daily fitness regimens of several of our friends. While we don’t consider ourselves to be fitness buffs by any stretch of the imagination, Wes and I do enjoy engaging in moderate physical activity. Even more important than keeping your physical body in shape, we need to keep our spiritual life strong and in shape. People often talk about how important the food is that we feed our bodies, and even more important is the soul food. Like physical exercise, working out spiritually should be pursued thoughtfully, mindfully, and most importantly, with consistency. “They that wait upon the Lord shall renew their strength; they shall mount up with wings as eagles; they shall run, and not be weary; and they shall walk, and not faint.” (Isaiah 40:31) A strong spiritual life requires strength training. More so than the sports themselves, the thing the sticks with me most from the ’92 Summer Olympics in Barcelona is the pictograms that were used for each sport. That summer, javelin and shot put were two of the highlighted sports. That act of casting, launching an object to see how far you can throw it is a great work out. We’re told in 1 Peter 5:7 to cast all our cares upon Christ because He cares for us. The act of casting isn’t just handing something over, or letting it go, no, casting requires us to exert some effort and throw our cares at Christ’s feet. Take off your burdens, and leave them with the Lord. Originally published as “Do you work out?” Minto Express, Independent Plus, Arthur Enterprise-News, Mount Forest Confederate. November 1, 2018: 6. Print. Web. The Bible is filled with many amazing examples of men and women who went before us, their testimonies, and the examples and legacies that they have left for generations to learn from and to follow. One such example is Esther, or Hadassah, the maiden who became the queen of Persia. Esther’s story is unique in that out of all the books in the Bible, not once in the book of Esther is the Lord mentioned. Esther’s story gives reference to the origins of the feast of Purim, and also provides a unique viewpoint and record of an important part of Jewish history. Esther’s story is also an awesome testimony of a woman of influence. We can learn many lessons from the life of Esther that are still practical and relevant for women and men today. After both her parents died, Esther was raised primarily by her uncle, Mordecai (who many speculate actually wrote the book of Esther that we read in the Bible). Esther was an orphan. Even though her background was not necessarily conducive to her becoming queen, it’s evident that she didn’t let her past didn’t define her. It’s an important reminder for each of us that our past shouldn’t dictate our present, or our future. It’s never too late to start fresh; while we can’t go back, we can move forward. As Paul said in Philippians 3:13-14, “…forgetting those things which are behind, and reaching forth unto those things which are before.” Mordecai said of Esther, “who knows whether you’re come to the kingdom for such a time as this?” Esther lived with purpose. Originally published as “Esther: An Excellent Example.” Minto Express, Independent Plus, Arthur Enterprise-News, Mount Forest Confederate. October 25, 2018: 6. Print. Web. People have varying opinions about fall; F. Scott Fitzgerald once said that “life starts all over again when it gets crisp in the fall.” John Burroughs once said, “how beautifully leaves grow old. How full of light and colour are their last days.” Whether you look at fall as a new, exciting season, or you look at fall as the time when plants die and go dormant, autumn is a beautiful season that is not without its charms. It’s also a time of year when green thumbs – and wannabe gardeners – prepare their plants for winter. Wes and I usually take our cue from our neighbours when they trim back their hostas. While the purpose of pruning can vary depending on what you want to accomplish, pruning promotes a better, more well-rounded plant. Pruning requires effort – both working and waiting – and the results are always worth it. Originally published as “The purpose of pruning.” Minto Express, Independent Plus, Arthur Enterprise-News, Mount Forest Confederate. October 18, 2018: 6. Print. Web. He goes on to explain various internal struggles that each of us face – as relevant when he wrote the book in 1896 as they are today – from appetite and temper to envy and pride. Moody’s advice seems so obvious, and yet while reading, I found myself in the midst of a discovery. To conquer our internal foes, we must do the opposite. 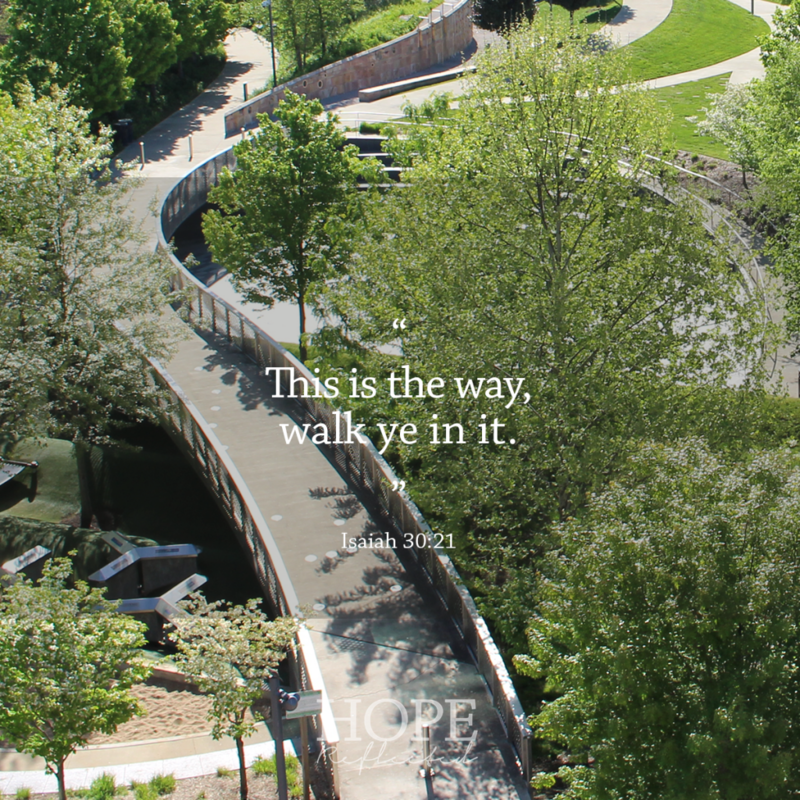 Whatever is juxtaposed to our struggles, that is the thing we should do. When it comes to sin, we need to do the opposite. To overcome sin, we need to head in the other direction. When we are tempted by pride, we need to be humble. Proverbs 11:2 says, “When pride comes, then comes disgrace, but with the humble is wisdom.” Someone once said that when you are wrong, you should admit it, and when you are right, you should be quiet. Maybe you are right. Perhaps someone else is getting the glory. In times when pride is your first instinct – and if we’re being honest, pride is the first instinct for each of us, because we’re human – it takes true character to put yourself in check and take the high road of humility. God will give you grace, guaranteed (James 4:6). When you find yourself in want, purpose in your heart to give. Proverbs 11:25 says, “The liberal soul shall be made fat: and he that waters shall be watered also himself.” See also 2 Corinthians 9:6-7, which tell us that “He who sows sparingly will also reap sparingly, and he who sows bountifully will also reap bountifully.” Greed can quickly overpower giving if we let it. It times when you find yourself in want of more, remember that nothing you have on this earth is truly yours, and you can’t take any of it with you (Job 1:21). As Jesus said in Luke 12:15, “Beware, and be on your guard against every form of greed; for not even when one has an abundance does his life consist of his possessions.” What are you placing emphasis on in your life? And how about jealousy? Each one of us are guilty of being green with envy. You may be familiar with quote, “Kill them with kindness.” Proverbs 25:21-22 says, “If your enemy is hungry, give him food to eat; if he is thirsty, give him water to drink. In doing this, you will heap coals of burning fire on his head.” (Proverbs 25:21-22). This is a truth that applies not just to those who treat you adversely, but to those of whom you’re jealous as well. Maybe it’s a co-worker, or perhaps a friend. It could even be someone in your own family. Just remember, you’ll never look good by trying to make someone else look bad. When jealousy strikes, try a dose of kindness instead. Originally published as “Do the opposite.” Minto Express, Independent Plus, Arthur Enterprise-News, Mount Forest Confederate. October 11, 2018: 6. Print. Web. Last weekend, Wes and I were waiting in line for the car wash, and when the vehicle in front of us finished, the driver announced, “I got it started for you!” As we pulled ahead, we realized that the driver had paid for our car wash. What an awesome, unexpected blessing! Later in the week, our neighbours invited us over for tea and cake, to celebrate their 49th wedding anniversary. We were so touched that they wanted to share their special day with us, and that they wanted to give to us. The gift of giving is a blessing, regardless of the type of giving. Some people give of their time, while others give of their finances, and some give of their talents. Regardless of how you give, giving is a gift. 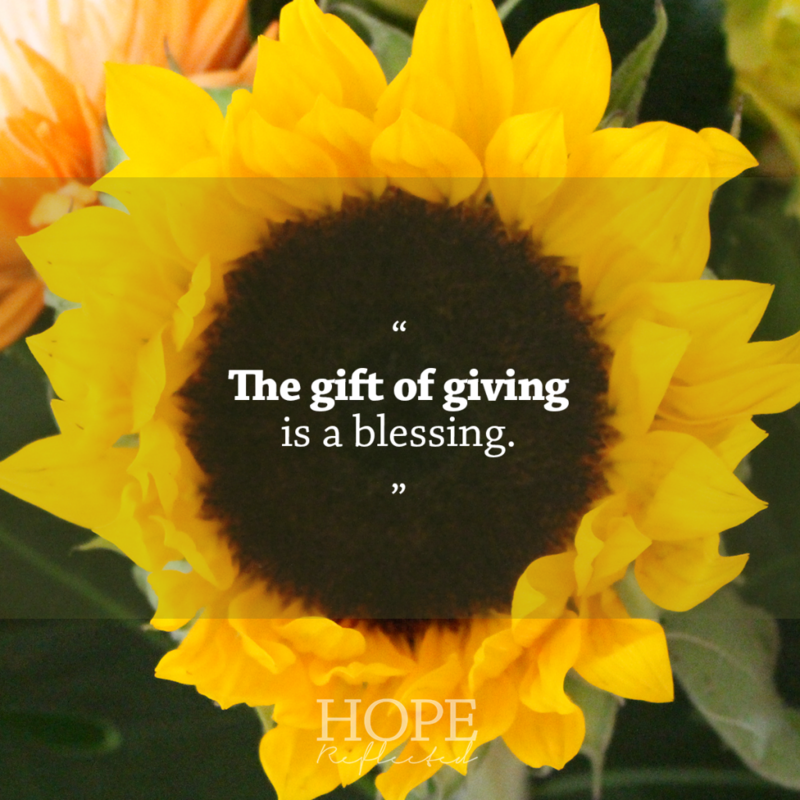 There are so many examples of the gift of giving that we can learn from in the Bible. Whether Old Testament or New, we can all learn from the examples of generosity in the Bible. Consider the parable of the Good Samaritan in Luke 10. He is a primary example that the gift of giving doesn’t have to be about money. Beyond financial giving, the Good Samaritan saved a life, a life that others went out of their way to avoid. He gave his time, he gave of himself, and he even risked his own reputation to give to another. “But a certain Samaritan, as he journeyed, came where he was: and when he saw him, he had compassion on him.” (Luke 10:33) Even the act of compassion for someone else is an example of the gift of giving. Compassion! Showing sympathy and a caring heart toward another is one way of giving to someone. We can all be challenged to give the gift of compassion. We can learn from the example of the poor widow in Mark 12. The poor widow taught us that you don’t have to have a lot in order to give. “For all they did cast in of their abundance; but she of her want did cast in all that she had, even all her living.” (Mark 12:44) The widow gave everything she had, literally. She only had two mites, and she gave them. Perhaps you already give regularly to a cause or through tithing at church. We can all learn from the poor widow what true giving really is. Giving a lot isn’t a prerequisite to the gift of giving. Even when you think you don’t have anything worth giving, you do. Give in faith. The gift of giving doesn’t have to be overly elaborate. Sometimes the simple and quiet gift of giving has the biggest blessing of all. Originally published as “The Gift of Giving.” Minto Express, Independent Plus, Arthur Enterprise-News, Mount Forest Confederate. September 27, 2018: 6. Print. Web. If you’re familiar with C.S. Lewis’s book, The Lion, The Witch, and the Wardrobe, then you’re likely familiar with the characters of Aslan and Lucy. In Lewis’s book Voyage of the Dawn Treader, Aslan whispers to Lucy, “Courage, dear heart,” and it is shortly after this that the ship Lucy is sailing on travels from darkness into light. “And all at once everybody realized that there was nothing to be afraid of and never had been,” writes Lewis. In a recent column, I wrote about the importance of choosing joy, and today I’d like to suggest that courage is also a choice. Courage is a decision that we make in the face of fear, opposition, and uncertainty, and it can change everything. “Be strong, and of good courage,” are words that, by my count, appear at least 10 times throughout Scripture; these words are written four times in the first chapter of Joshua alone! Time and time again throughout the Bible, we are encouraged and commanded as Christians to be of good courage and to be courageous. To be of good courage and lead by example. To be of good courage and not be afraid or quiet when it seems like the majority of people disagree with you and want to silence you. To be of good courage and to stand firm and to stand up for what is right. Does that mean that you’re never afraid? No, on the contrary! As Mark Twain said, “Courage is resistance to fear, mastery of fear – not the absence of fear.” Does that mean that it’s easy to stand up for what’s right and defend your faith? No, on the contrary! Courage is a choice that as Christians we’re called to make, regardless of the circumstances. Joshua was called to be courageous when it came time to lead the Israelites into a new and unknown land. David reminded himself to be courageous during seasons of persecution. Paul demonstrated courage when he traveled across the world and taught about Jesus and came up against many people who disagreed with him. God’s Word and Promises. “Be strong and of a good courage, fear not, nor be afraid of them: for the LORD thy God, he it is that doth go with thee; he will not fail thee, nor forsake thee.” (Deuteronomy 31:6) Referenced several times throughout Deuteronomy and Joshua alone, we can take courage in God’s Word and Promises. God is always with us. God will not fail us. God will not forsake us. Don’t be dismayed. Don’t be discouraged, because God is with you! Don’t believe me? Ask Him. If you truly seek God out, you will find Him. And that’s a fact. 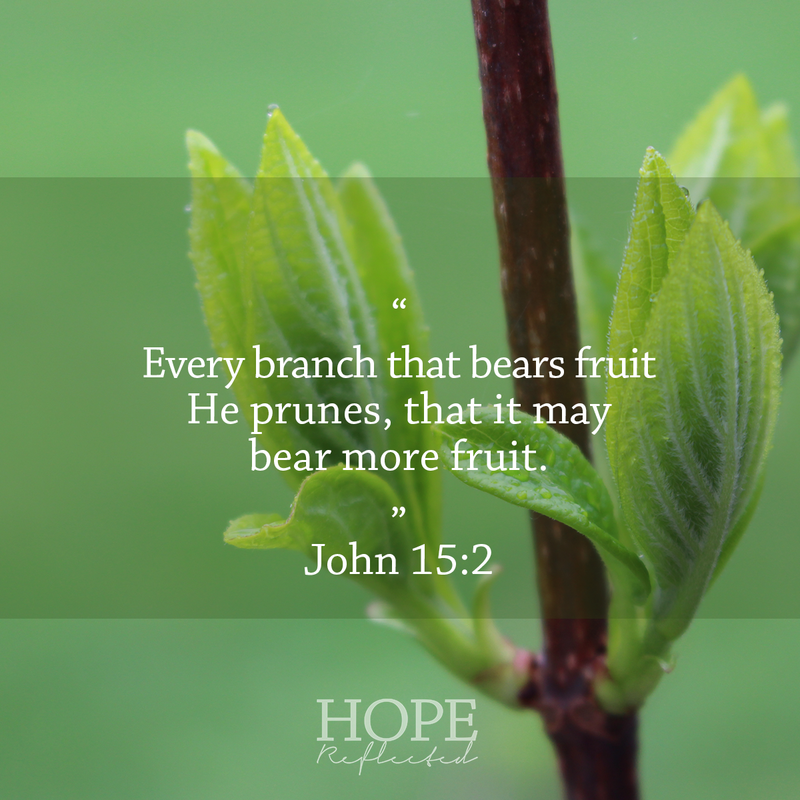 We can take courage in God’s Word and in His Promises, because they never change. “The grass withereth, the flower fadeth: but the word of our God shall stand for ever.” (Isaiah 40:8). Not just for one hundred years. Not just for one thousand years. God’s Word stands forever. Some people may not like it, many people may try to fight it, but we can be strong and of a good courage because the Bible is our firm foundation, and Jesus Christ is the same yesterday, today, and forever (Hebrews 13:8)! Other Christian Believers. “And from thence, when the brethren heard of us, they came to meet us… whom when Paul saw, he thanked God, and took courage.” (Acts 28:15) You know that feeling you get when you realize that someone else shares the same faith, or when you discover that there’s someone else out there who totally gets something you thought only you understood? We can take courage in other Christian believers. 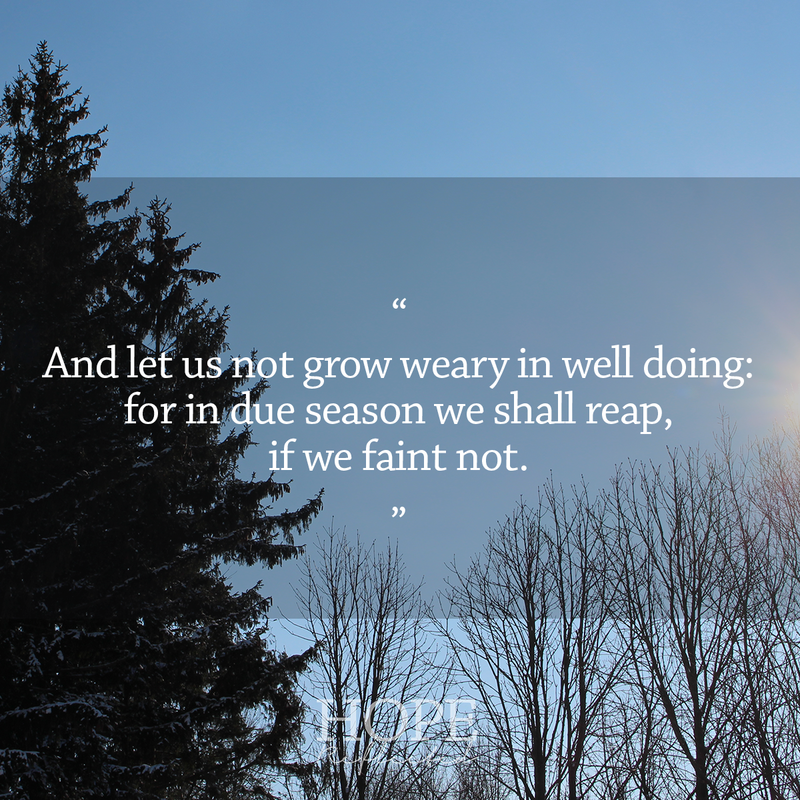 Each one of us can take time to “encourage” other Christian believers. Just as thousands of candles can be lighted from a single flame, all it takes is one voice to speak out and to stand up for our faith, and that can inspire others to do the same. “Now when they saw the boldness of Peter and John… they marveled; and they took knowledge of them, that they had been with Jesus.” (Acts 4:13) As Christians, we aren’t called to be silent. We aren’t called to be pacifists. On the contrary, we are called to be strong and to be courageous, and to stand up and be counted. Maybe that means witnessing to someone who doesn’t know the Lord. Maybe that means getting out and voting, even if you’ve never done it before. Maybe that means being silent and not laughing when someone says something crude or makes fun of another. We can take courage in other Christians, and we can also encourage one another. Our Faith in the Lord. “Wait on the LORD: be of good courage, and he shall strengthen thine heart: wait, I say on the LORD.” (Psalm 27:14) Living our Faith can be hard, can’t it? Especially when sometimes it seems like God is silent, or like He can’t hear us, or during times when we think we’ve got everything under control only to be thrown curve ball after curve ball. As Charles Stanley says, “Obey God, and leave the consequences to Him.” Exercising patience and prayerfully waiting on the Lord before making a decision can be one of the hardest things. But the wait is worth it. When you choose courage and exercise your faith, the Lord will bless you. 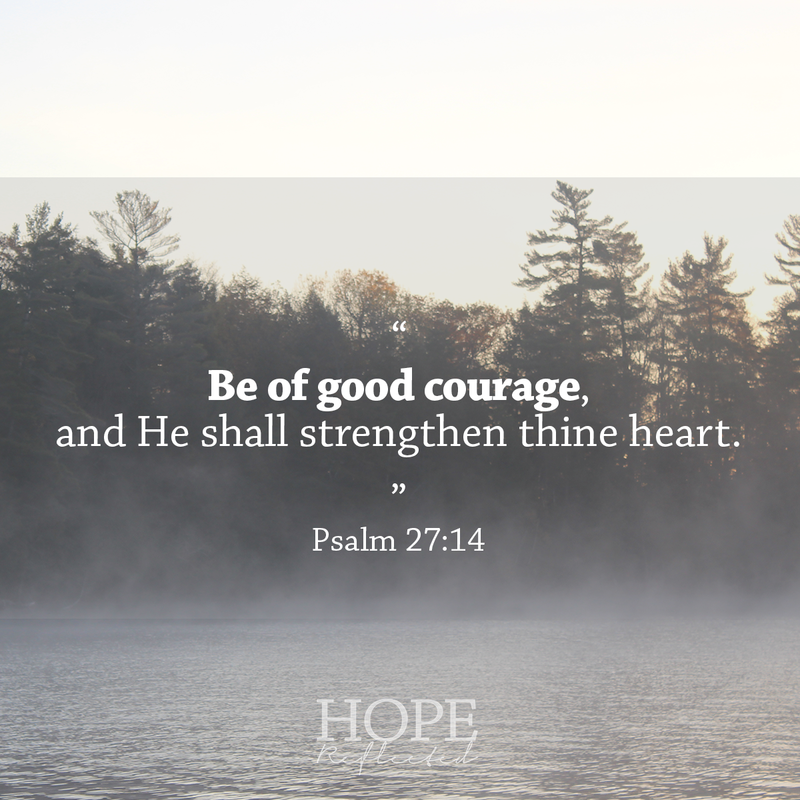 “Be of good courage, and he shall strengthen your heart, all ye that hope in the LORD.” (Psalm 31:24) When we choose courage, God will strengthen our hearts. It may not always be in exactly the way we plan, but part of having Faith means not resting in our own knowledge or following our own leads (Proverbs 3:5-6). “Be watchful, stand firm in the faith, act like men, be strong,” we’re encouraged in 1 Corinthians 16:13. We can find courage in our Faith. The greatest place of all to take courage? When you know the Lord as your personal Saviour, you’ve got something that no man, no weapon, no illness, no circumstance can ever take away. The security that comes with God’s gift of eternal salvation should be all the “encouragement” we need to take courage. “Courage,” said C.S. Lewis, “is not simply one of the virtues, but the form of every virtue at the testing point.” It’s up to us to make the decision to live a life filled with it. Originally published as “Courage, Dear Heart.” Minto Express, Independent Plus, Arthur Enterprise-News, Mount Forest Confederate. April 19, 2018: 6. Print. Web.